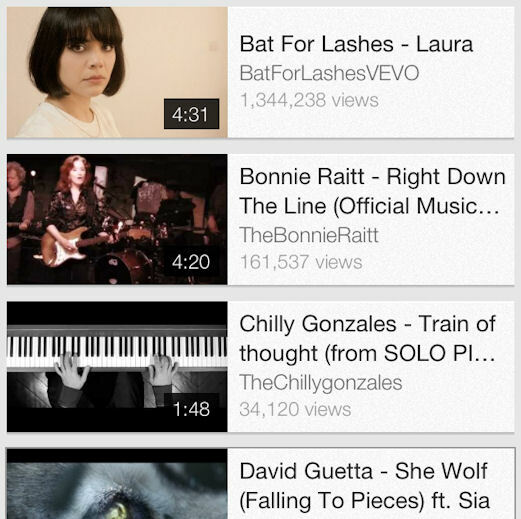 A YouTube playlist of my favorite videos and/or songs released in 2012. I generally prefer the studio tracks, but a few of these are live versions, mainly because there is no official studio version on YouTube. Also, in some cases, I enjoy the official video better than the song itself, and vice versa. A few of these YouTube videos will not play on mobile platforms. I’ve attempted to make the same list on Spotify (also embedded below), although not all the songs are available there, either! A “Best Albums” post (which requires a lot more thought) is forthcoming by the end of the month.